I've reached another milestone! This week I was able to take a full shower while standing! That doesn't sound like a big deal to some, but to us who deal with Cauda Equina Syndrome standing for any length of time is not an option. One of the things CES takes from you is leg strength. Even if feeling returns, strength may not. 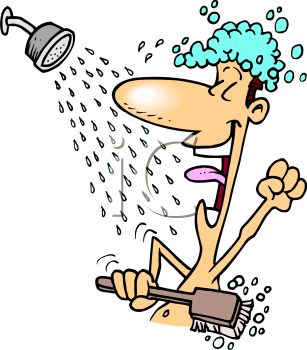 So to stand in the shower for the few minutes it takes to shower, and adding the physical exertion of showering, is a major milestone for me! One letdown though is that it did take so much strength that I can't do it every day, or even most days... yet. But the future is before us and we shall see what it brings, but for now I cannot ditch the shower seat. I am currently passing Month 13 with CES, so I've really got to get busy on my Month 12 and Month 13 reports! Hope to have them up this weekend.